This time it's a movie! This was created automatically by Google+ Auto awesomeness - I had nothing to do with it! Made with just a few of my pics from 2013. Hmmm, the only issue with posting it here is you miss the music that was also added...If you view on my Google+ page you'll get the sounds as well. So, as I mentioned in the previous post I was looking forward to heading over to Wanganui on Boxing Day to watch the racing at the Cemetery Circuit and to catch a glimpse of Guy Martin in action. For a bit of a break I went for a roam around the pits and then wandered around the circuit where I ran into a few other locals and tried out a few different locations for pics. After this race I decided to take off as I had to pop into work. On the way back I managed to avoid getting into trouble with all the HP that were out on the road but did however run into three nasty little showers. All in all a great day out and nice to see our Pommy visitor out having a bit of fun on NZ's most famous road racing circuit. Lots more pics here or just the best GM ones here. Yep, heading over to Wanganui on Boxing day to see this character in action. Got camera batteries charging and looking forward to it! This weekend was my last chance to get a decent gravel ride in for the year so I decided that it had better be a good one. During the week I'd been thinking about it a bit but hadn't really come up with much of a plan except that I wanted to take in Ridge Road up the Pohangina Valley and into Apiti - from there I had more options but decided to make up the rest of the plan on the way. So early this morning, after popping into work briefly, I hit the road heading for Pohangina. I hit my first bit of gravel less than 10km from work on Watershed Road and began to slowly get into my gravel riding groove. After taking in a few more great gravel roads I finally ended up on Ridge Road which as the name suggests runs along the top of a ridge giving great views that alternate between the Eastern (Pohangina Valley) and Western sides as the road snakes it's way Northwards towards Apiti. 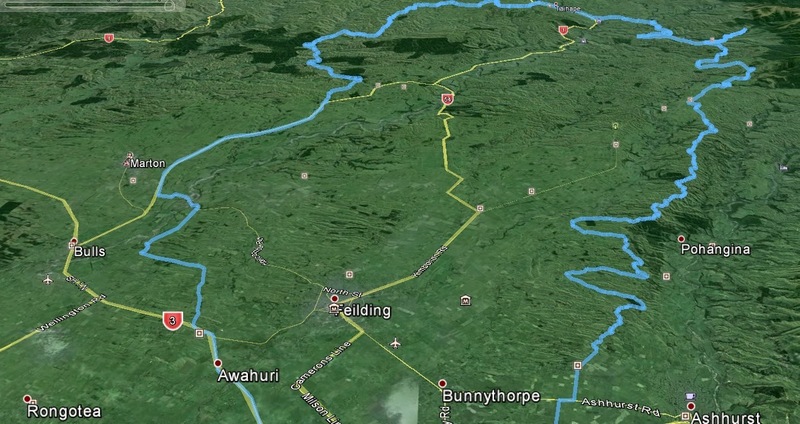 Next up I continued through towards Rangiwahia taking in Main South Road which sadly is just about all sealed now. It's still quite a cool ride as you drop down into some nice little valleys and cross rivers a couple of times. 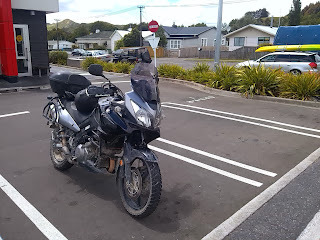 Instead of going into Rangiwahia I turned the other way and went in search of some roads I'd only done once with the BRR guys - Karewarewa and Auputa Roads. This some great riding - starting off with a big gravel straight to unleash the Vee on before entering some more winding road through nice bush and past a small reserve. And then my navigation failed me - I took a right instead of a left and ended up taking Upper Kawhatau and Rangitane Roads until I eventually came to a closed gate. Luckily the riding had been great and it was just as good when ridden in the opposite direction. After retracing my steps I eventually found the turn-off I was after and took in Potaka and Omatane South Roads through towards Utiku. More great riding and awesome scenery. 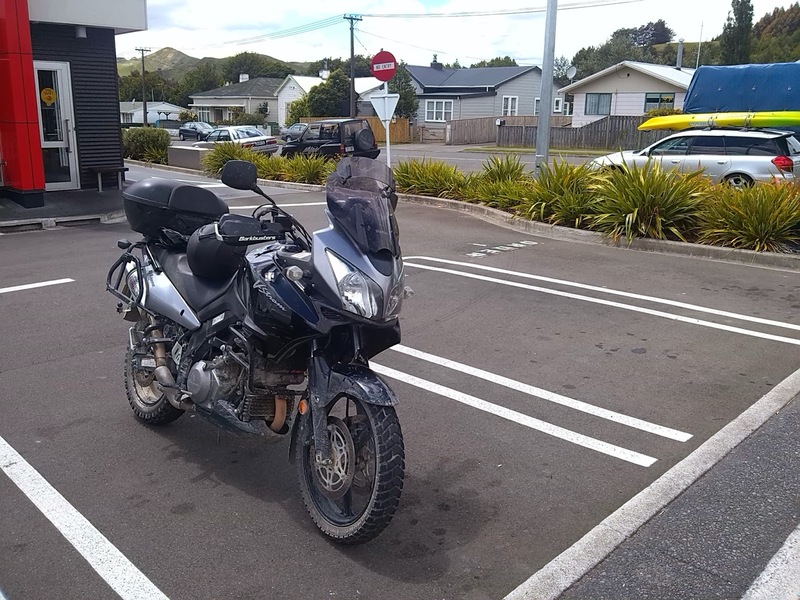 I eventually popped out on SH1 and made my way into Taihape for a lunch break that I'd been hanging out for and to top up the DL for the afternoon's adventure. After lunch I headed North and then promptly took the wrong turn-off. But this time it was a good mistake as I was still heading in the right direction and it meant that I would also get to take in another Ridge Road - along a completely different ridge. Not quite on top of the ridge yet. 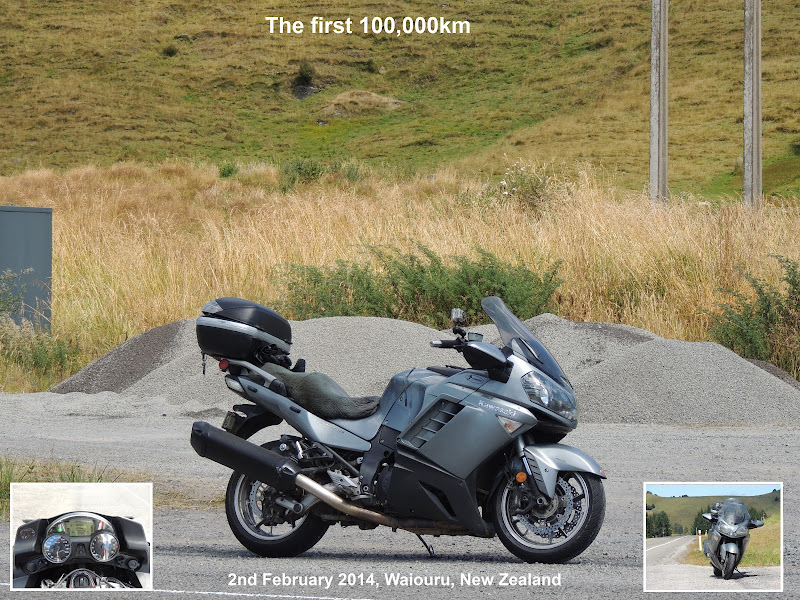 After dropping down Ridge Road I then sort of just followed my nose towards Papanui Junction. 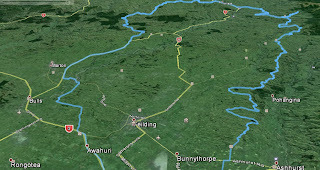 But instead of heading directly over to Papanui Junction and onto Turakina Valley Road I carried on down Pohonui Road which eventually runs into Turakina Valley Road anyway. It's one fabulous ride down the valley and although I had to avoid turkeys, sheep and a couple of cattle I really enjoyed it (again). Eventually all the good gravel had to end but it did mean a nice quick ride on tarmac back to SH1 just South of Hunterville. From there it was time to enter cruise mode and make for home. I ended up doing approximately 300km in about five and a half hours (including stops) so a nice little outing to see out the old year. Here's to more great gravel in 2014!